The Mini Millers workshop, created a range of metallic masks. 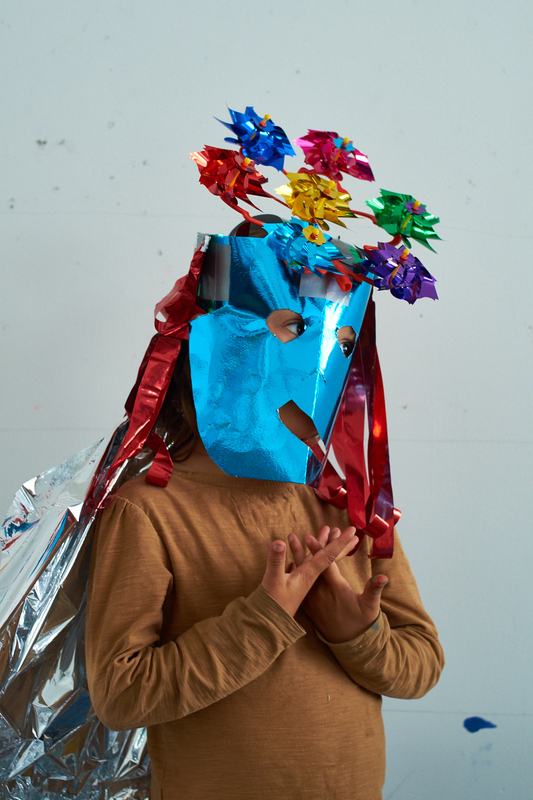 Young People were invited to create there very own windmill mask, embrace the rituals of the seaside and amplify the great outdoors! This workshop culminated with a parade around Payers Park.